Born in Milan (Italy) in 1954, Rodolfo Dordoni graduated in architecture at the Politecnico of Milan in 1979. 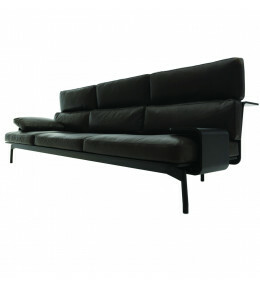 In collaboration with Alessandro Acerbi and Luca Zaniboni, Dordoni founded the Dordoni Architetti Studio. Responsible for the art direction of various furniture manufacturers, this Milanese architect and designer collaborates with various brands such as Flos, Artemide, Cassina and Cappellini, among others. 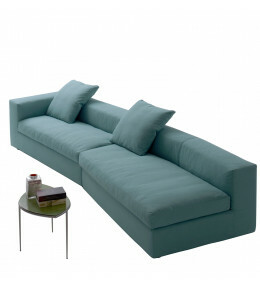 288 Sled Sofa has a distinctive design with unique back support doubling as a optional shelving and drawers. 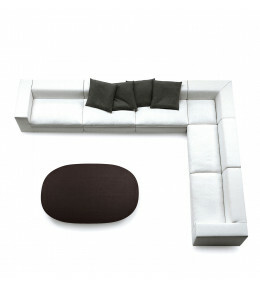 Cuba soft seating system has fully removable covers and a wide choice of modular units. Cuba 25 is a modern modular soft seating solution for flexible layouts. With 60 x 60 cm feather cushions.